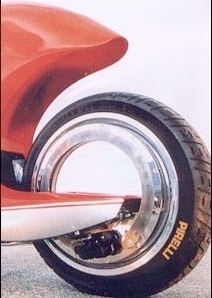 Here I look at what is already possible and remarkably different from our two-wheeled brethren. I found a pedal bike with no dirty stretchy chain (a shaft drive), no tyres to puncture (solid tyres, suspension) and so virtually no maintenance. Shaft drive has been available since 1991; solid tyres from Tannus go on your existing bike - not uncomfortable and worth a look, even at £50 per tyre. Attractive as a cold weather tyre especially. If you haven’t looked at recumbent bikes, do. They’re a tad slower, they can be a lot lower and very stable. I think for the energetic cyclist the ‘old’ way will still appeal, but others may prefer this. I didn’t like the consequence of being nearer the ground when in with car traffic. 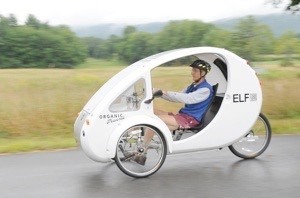 The ELF is a three wheel bike that is a compromise in several ways that deals with these issues, having electric assist too. I found self-balancing bikes and motorbikes. Please look at the C1-from Lit Motors. 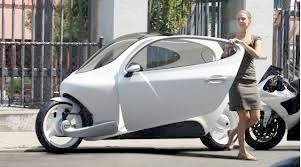 it is an electric motorbike, with an enclosed cabin and gyroscopic balancing - more of a two-wheeled car than a bike, and around £15k at the moment. See a BBC report and another video. 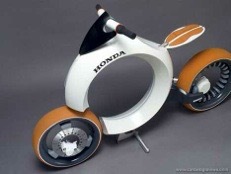 It offers (I didn’t say deliver) 200 miles between recharges, 100mph, no helmet - this may be the way to go. Watching it reverse into the street is weird. 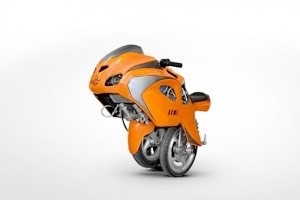 Similarly weird is the one-wheeled electric Ryno. Youtube video. It’s a mike, not a bike, of course. 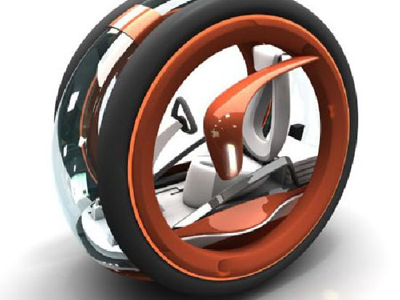 Different, is Kerry McLean’s unicycle - sit inside the wheel; I think he’ll be wearing his shoes out driving like that. BPG’s Uno is in between and looks very good but doesn’t have range or speed. The link shows how it fits together. A real-life transformer? 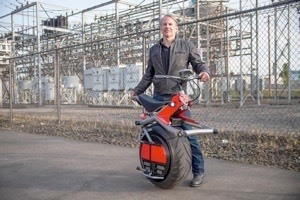 This is another electric scooter, but with three wheels and the middle one comes forwards for higher speed. Its max is 35mph, its range is 30 miles. For now; would work well in China, for where it is aimed. You still have to put all the protective clothes on and you’d hate the cold and the wet. For low speeds there’s things like the Segway, electric mobility scooter; one or two wheels and a platform to stand on. Other manufacturers include Freego, Freego max 20kph, 45km between charges of 2-4 hours. Segway similar. There’s a solo wheel self-balancing range too - no handlebars, one wheel - disconcerting, but also of carry-able size and weight. max 10mph/16kph, range 15-20 miles, 26pounds (12 kilos), $1800. 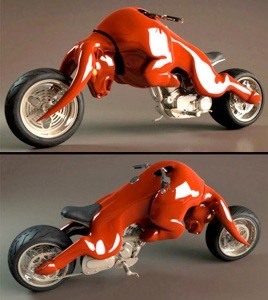 Look at futuristic bikes here. It is easy to find exciting pictures (just google ‘future motorbikes images’, or Pinterest concept transportation) but less easy to find exciting bikes actually made beyond concept vehicles—and harder still to find any in production. When you read this and think “old hat”, remember I put a lot of this together before 2015.